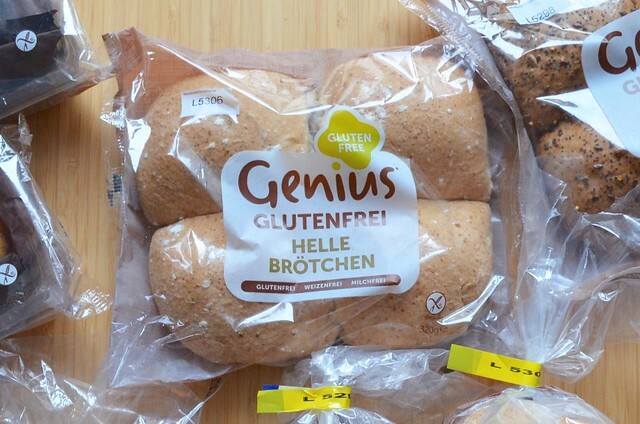 Sole Satisfaction: Review of Genius Gluten Free Bread: Now Available in Germany! 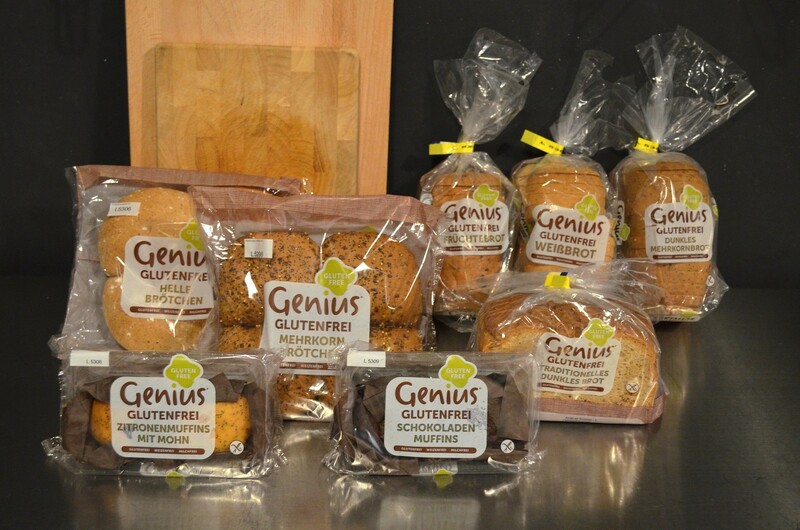 Review of Genius Gluten Free Bread: Now Available in Germany! 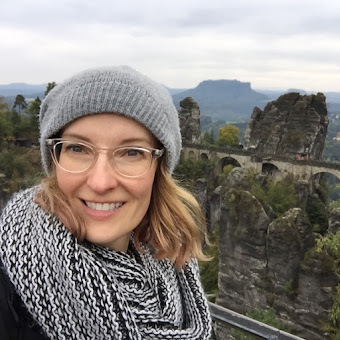 When I got the message from my friend Adam that a UK-based fresh-baked bread company was coming to Berlin and wanted to meet with the gluten-free community here to discuss its entry into the German market, I jumped at the chance. Gluten-free bread in Germany is, let's face it, sorely disappointing, especially coming from other parts of the world where a loaf can't often double as a doorstop. There are a few options at specialty groceries and through online retailers that are pretty good, but I've yet to find anything that made me proclaim "this is delicious!". Mostly, it's been just settling for what's out there, something my foodie sensibilities does begrudgingly. That is, until now. Genuis's website got me really excited pre-meeting with the visiting group, and our dinner itself left me positively giddy. Lucinda Bruce-Gardyne, Genius's founder, was so full of optimism and confidence about their foray into these new markets (Genius is also available in France, Sweden and the Netherlands), it was hard not feel like we too were drinking the Kool-Aid. She described how Genius was born from her children's allergies and her desire to feed everyone the same good food, rather than needing to have safe assortment for the gluten- and dairy-intolerant among them every mealtime, and it became clear this wasn't just a sales pitch. She was in this for love of good food and keeping loved ones safe and healthy with what they ate - and she was kindly sharing what she created with all of us. 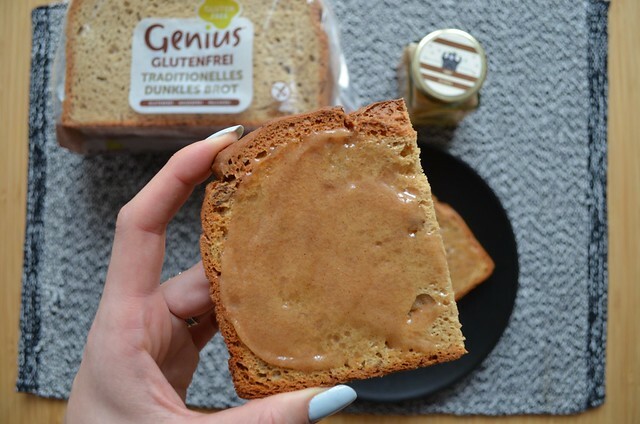 As the other members of the Genius group raved about products, not even needing to be gluten-free themselves, it was obvious this was just a good product, period. "This is pretty good, for being gluten-free" is pretty much my most-hated phrase related to food. I was pretty positive this bread would meet my discerning standards. I had hoped that Genius would bring us a sample to try, but as they started pulling out bag after bag of baked goods, showing us the assortment that was ready to go to market in its German packaging, I couldn't believe all they had to offer. There were multiple sliced loaves, big fluffy rolls that squished when poked them, even two kinds of big, moist-looking muffins. As I looked around, starting to formulate which ones I wanted to try and which ones I'd throw elbows to take home, they pulled out another bag, full of the entire range, all for me. I honestly nearly cried. This is the loaf that launched a bread company. 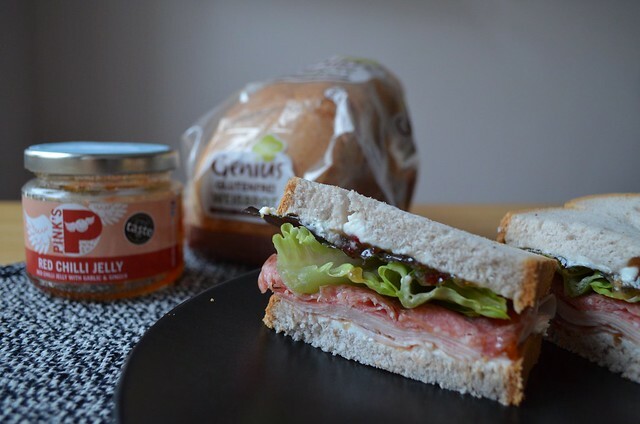 Founder Lucinda said this one was developed in her kitchen to feed her family and became the beginning of a long line of gluten-free breads, muffins and other goodies like crumpets and pies (sadly not available to the German market yet). This one is a good neutral bread, without being flavorless, though I found it a little dry. It had a good crunch when toasted, but does tend to be more crumbly than the other sliced breads. For sandwiches, it fell apart the quickest, but as morning toast with some Berlin cinnamon honey, it was divine. This one reminded me the most of more traditional German bread in flavor, although it was still significantly lighter in density. These slices had great flavor with a slight crunch from the nuts and seeds. 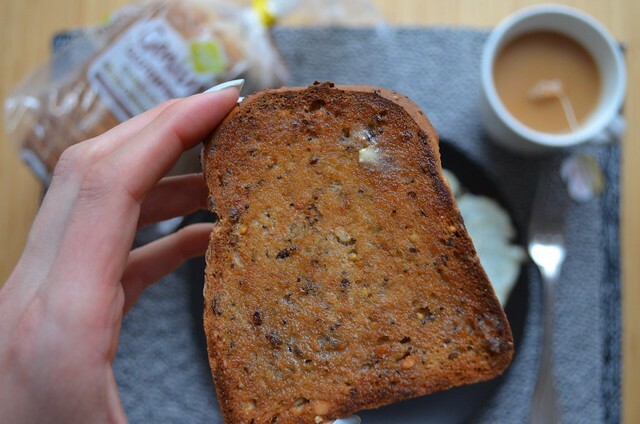 Light like any good non-German bread, yet hearty enough to feel like you're getting some great nutrition. Toasted, it did suffer a bit from dryness, so my advice is don't toast too long. 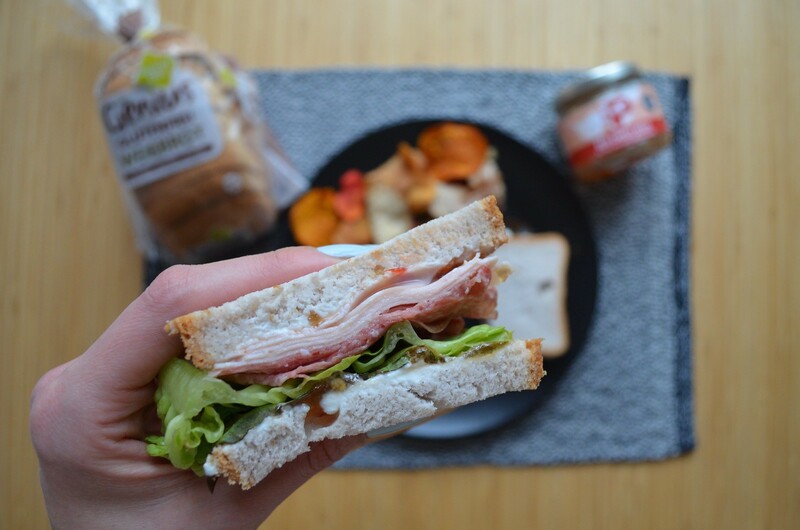 My husband and I both enjoyed this as toast and for sandwiches, and we agreed it had the best taste of any store or bakery-bought gluten-free sandwich/sliced bread we've tried in Germany yet (and we've gone through an assortment of Schär, Schnitzer and the singular GF bakery here in Berlin). This is gonna be a best-seller here in Germany, I just know it. This loaf was perhaps the one most like it's gluten-filled counterpart. Soft, with just the right amount of chewiness. Since there's no gluten, there's no sticking to the roof of your mouth. Like most white bread, on it's own, it a little boring, flavor-wise. Its strength lies with PB&J, grilled cheese, cinnamon toast or even made into holiday stuffing. I enjoyed this both untoasted for sandwiches and toasted for breakfast toast and for grilled cheese. It suffered from a little dryness next to the crust, but overall this bread performed like any good white bread should. 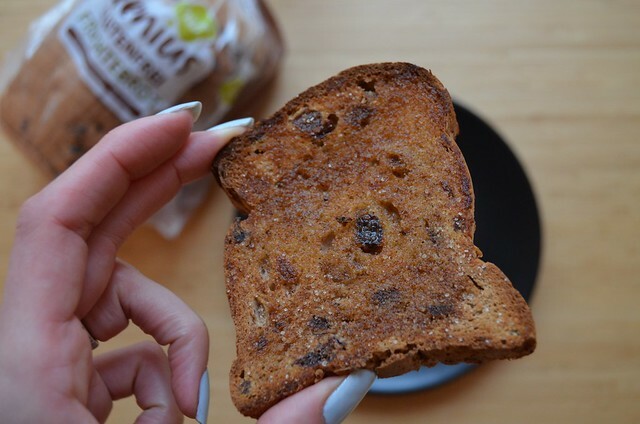 Admittedly, I'm not the biggest raisins-in-baked-goods fan, but these slightly cinnamon-y slices with small, soft pieces of not only raisins, but sultanas and currant as well, might have won me over. I tried this both toasted with just butter and also with butter and cinnamon, and it was a perfect breakfast or snack bread. 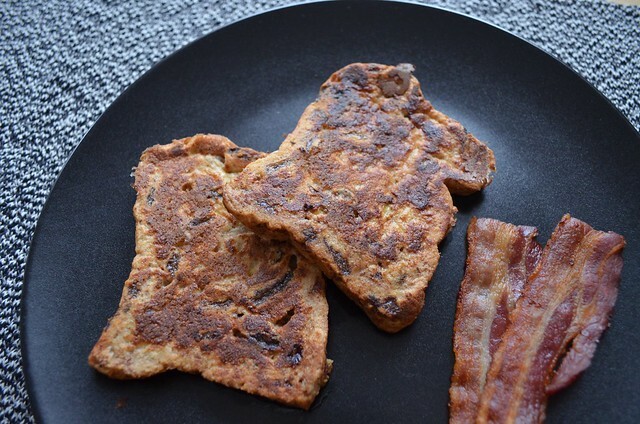 Once starting to go stale, it made an excellent French toast as well. Sweet without being overly so, the mix of fruits and spices (cinnamon, nutmeg, cardamom and more) makes it quite the tasty slice. Even my husband, not usually big on sweet stuff, reached for this loaf a surprising number of times. This one will be a breakfast go-to for me. This was one of the first packages set in front of me by Genius and when I touched them, I marvelled at how the fluffy rolls gave when I pressed into them (as opposed to more traditional German Brötchen, which can often sub in for hockey pucks). While the inside was fluffy and soft, the outside was coated in just the right amount and assortment of seeds and nuts to compliment the grain-flavor on the inside. My husband and I enjoyed these first with some soup, then it was me and my gluten-intolerant guest who got the other two as burger buns. 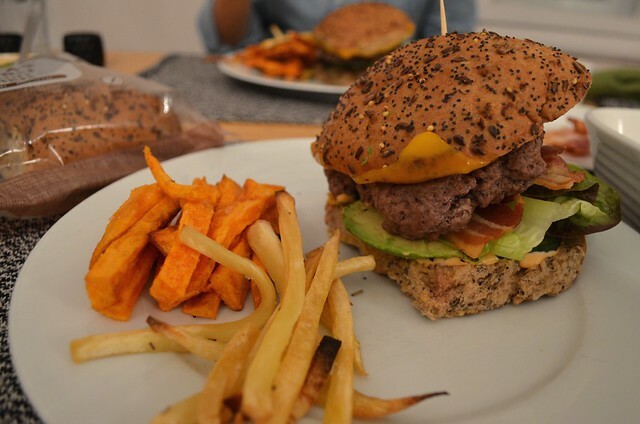 While, much like the white roll, it's not so much a bun as a roll, it did the job nicely, holding up to the messy insides of a burger without crumbling or disintegrating. A good, basic white roll is often hard to find, one that is flavorful can be even harder. This one was so fluffy and tasty, I swear that any gluten-eater would take it for "the real thing". It's grain kind of flavor went beyond just the yeasty white nothingness of a basic roll. The first time my husband and I split one with our soup, slightly warmed in the oven, we were bowled over. This might be the best packaged gluten-free bread product we'd ever tasted. The next round of these was enjoyed slightly toasted as burger buns, and while only slightly too thick for the task, it was a delicious use for these rather large rolls. Unfortunately, this was the first of all the products to show mold, two days after opening and three days after receiving them. Not sure if this indicative of faster-spoiling ingredients or perhaps a product that was defrosted earlier than the others, but my advice is to eat this one immediately after purchase. Trust me though, it won't be difficult. 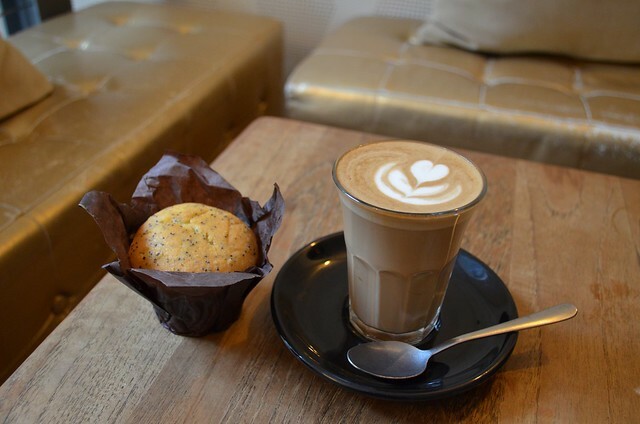 Store-bought muffins - and cupcakes, which the Germans irritatingly call "Muffins" - are notoriously not great here. Much like bread, they tend to be much denser and drier than American and British counterparts. Biting into these felt almost as if I were back in the States. The chocolate flavor was rich, but not overpowering. The crumb was moist, but not soggy. I was surprised to see several kinds of fruit juice concentrates on the list of ingredients, which must account for a lot of the great moisture, without any fruit flavor coming through. The size here is also quite generous, not like the giant Costo muffins from the U.S., but perhaps nearly twice the size of the gluten-free ones I've seen on Germany grocery shelves. Being a baker myself, I don't often buy cakes or muffins, but these are definitely on my list for when I don't have time to make something myself. The lemon flavor in these muffins is divine and the poppyseeds, which can play an overpowering role if used too abundantly, were the perfect subtle accompaniment to the bright citrus flavor. Just like the chocolate version, these were very moist with a great texture. While our friends got to taste this muffin and came away most impressed, my husband was pretty ambivalent about them. Since I make cakes and muffins often and he claimed mine were better, he didn't feel the need to indulge in these like I did (he also doesn't have my sweettooth, so take from that what you will). Though I could perhaps agree with him - I mean, when is good homemade not better than just about anything store-bought? 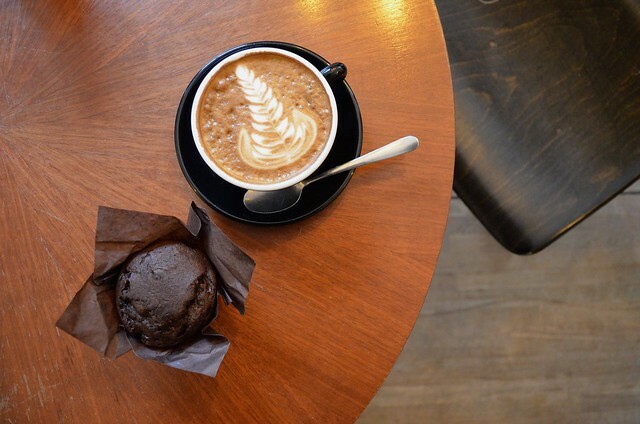 - I still think the Genius muffins are far and away better than any muffins, or cupcakes for that matter, on Germany's shelves. If you're looking to indulge in a sweet breakfast or snack, I would highly recommend these. Now that you're as excited as I am about this bread, you want to know where to buy it, right? Well, it is scheduled to be available on Food Oase this week, so check in and place your order before they sell out! Just want to be able to go to the store and pick one up? I feel you, but we've got to have patience, as Germany is notoriously slow to adopt new things. The more you ask your stores for more Genius Gluten Free products, the more likely they will be to add it to their offerings. The plan is to be in Berlin stores soon, so lobby hard with your local markets to help make that happen! If you are lucky enough to live in or near Hannover, these are available at select Edeka's as of yesterday. Believe me, this bread is so good, I'm tempted to take a trip there just to pick some up... Stay tuned and be sure to follow me on Twitter as I will update whenever I get more information from the folks at Genius about where to buy its products here in Germany. Also, be sure to follow the Genius Germany page on Facebook to show your support (and to lobby for the pains au chocolat - Free From Food Awards 2015 Breakfast Winner - to come to the German market)! *Important note: Genius is shipped to Germany frozen, then defrosted when put up for sale, which, as most GF eaters know, reduces the shelf-life by two days; refreezing after purchase in Germany is not recommended. This post was in collaboration with Genius Gluten Free. I received free products for my review, but all opinions are entirely my own. Considering these were all so good, I'm even more curious as to how amazing your favorite products are! I admit, I'm really sad there are no chocolate croissants just yet, but I'm holding out hope they'll come... Do give the Mehrkorn bread a shot, I think you'll like it. Oh, and those rolls! !